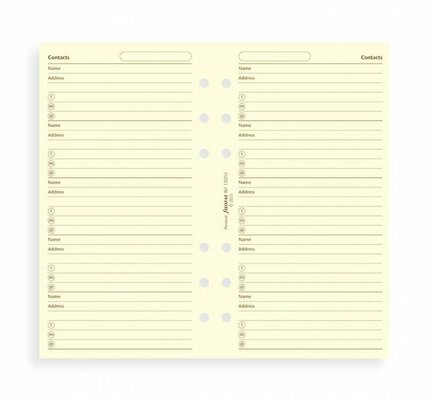 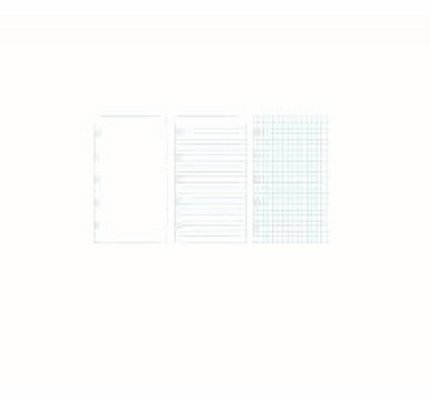 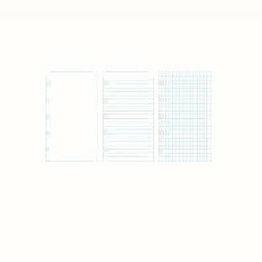 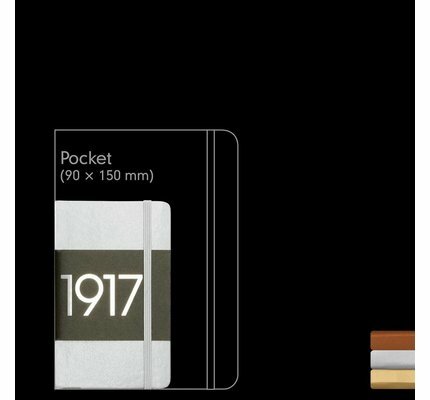 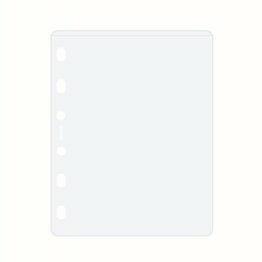 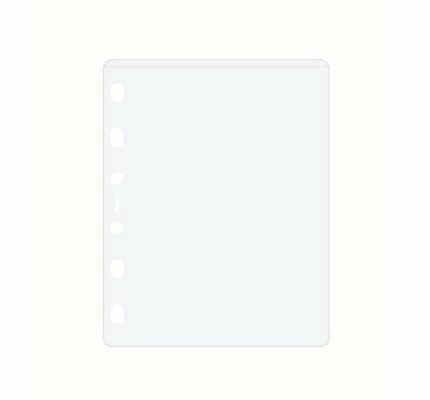 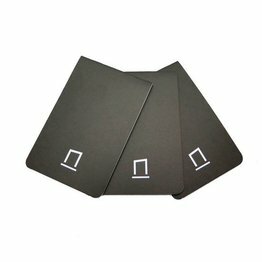 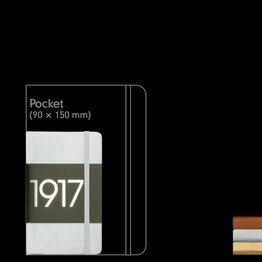 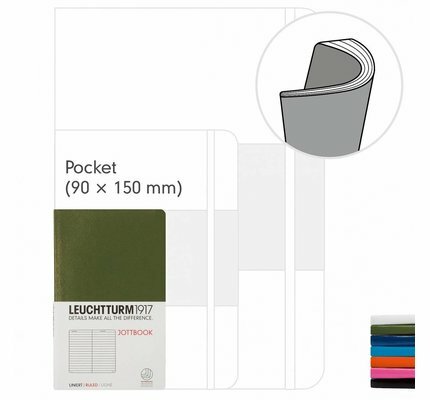 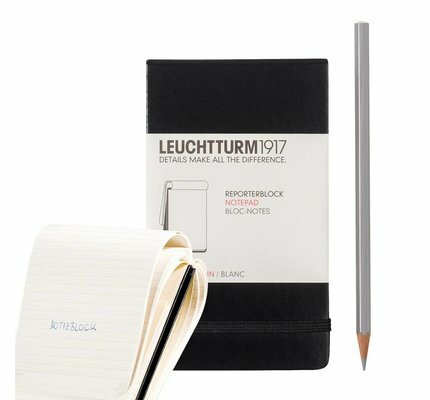 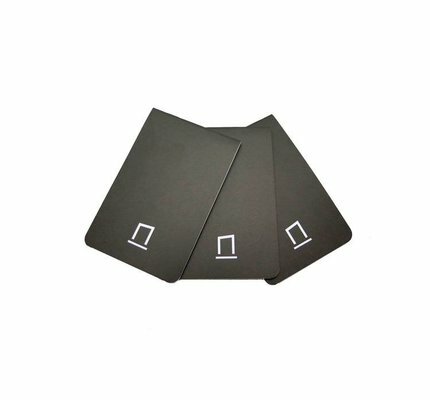 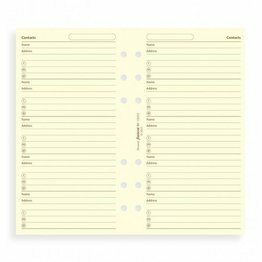 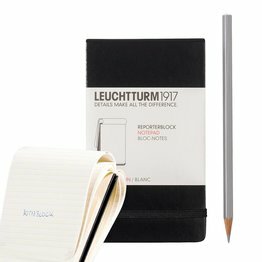 Our Pocket notebooks (A6) have 185 numbered pages. 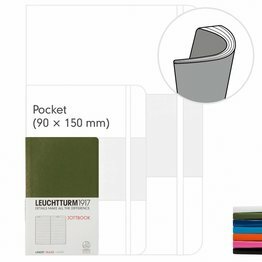 They come in a handy size which will fit in any bag. 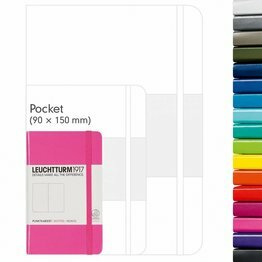 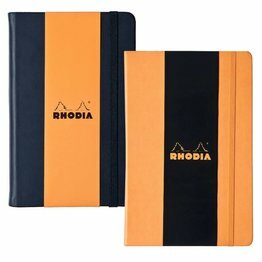 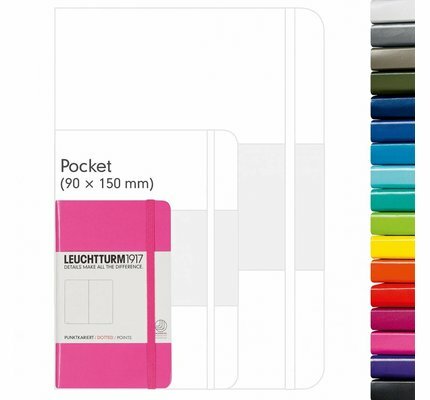 You can choose the perfect notebook from a choice of 17 different colours.